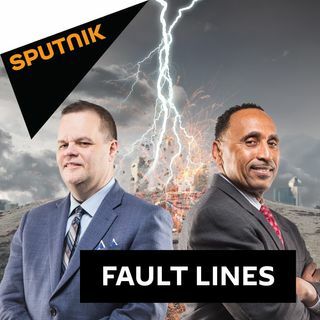 On this episode of Fault Lines, hosts Garland Nixon and Lee Stranahan discuss the upcoming summit in Vietnam between President Trump and North Korean leader Kim Jong Un. What are the expectations for this meeting, and how might policy between the two countries be altered depending on the nature of Trump and Kim's conversations? Elbert Guillory - Former State ... Más informaciones Senator from Louisiana | Why Jussie Smollett, Why?!? Later this week, President Trump and North Korean leader Kim Jong Un will meet in Vietnam for their second major summit together on the world stage. Sputnik radio host Brian Becker is currently in Vietnam to cover the summit, and he will talk about what he observed upon arriving in the country and the goals for each side heading into this high stakes meeting. While what comes next legally for Jussie Smollett remains unclear, what is clear is that the Chicago Police Department has already spent an immense amount of resources on the Smollett case. Former Louisiana State Senator Elbert Guillory joins Garland and Lee on today's show to discuss the Smollett saga and to give his take on what should happen to the disgraced actor if he is found guilty in court. Much of the public in the UK is frustrated with the status of the Brexit process and with the ruling elites in their country. Geopolitical analyst & blogger Ian Shilling returns to the show to talk about the current situation facing the people in the UK and why social media censorship continues to increase for those commenting on political issues and current events. For the final segment, Mint Press News reporter Alex Rubenstein joins the show to discuss his three-part investigative report on billionaire Pierre Omidyar and his role in the current media landscape. What are the major organizations currently being funded by Omidyar, and what are his main interests in furthering his growing media empire?